Bid farewell to pencil thin brows and embrace the latest eye brow trends by Ursula, Sydney’s leading brow expert. There is no denying the eyebrow trend in 2017 has become the new viral beauty plague taking over our screens and news feeds. 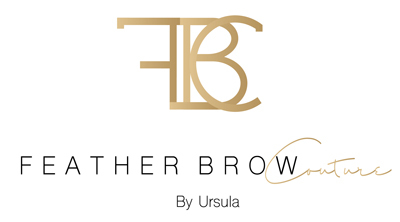 See why celebrities, bloggers, fashionistas, woman and men worldwide flock to Ursula for her signature 5-star eyebrow treatment and the most advanced brow technique. Eyebrow Feathering will give you gorgeous natural looking eyebrows. 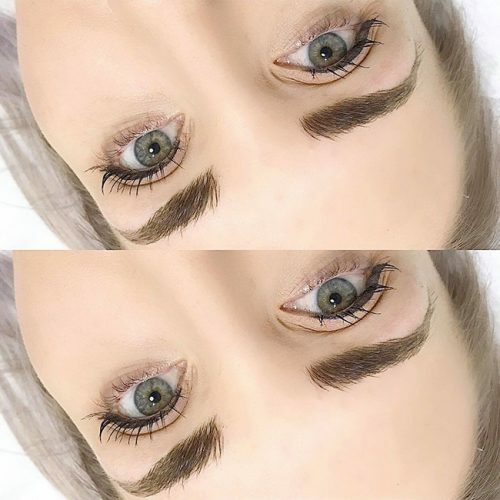 The feather brow tattoo looks like real hair and is perfect for those with thin or patchy eyebrows. If your eyelashes are lacking in volume and are looking rather bare then Ursula’s signature eye lash lift and tint could be your new best friend. It will give your eyes the boost it needs to look young, fresh and vibrant. Try add it with your brow wax or tattoo procedure & see the amazing transformation. Féather Brow Couturé offers premium facials that will enhance the overall qualities of your skin, adding an even bigger wow factor to your newly- improved brows and lashes. The best thing is to come into our Sydney boutique Eyebrow studio for an initial consultation to ensure that our eyebrow feathering technique will work for you. Afterwards, you will be able to discuss your cosmetic concerns as well as your desired shape and colour for your eye brows. You can see some of our happy customers here. People compliment me all the time for my amazing brows and now all my friends want them too! My new brows have given me a lot of confidence and reduce my makeup time significantly. My self-esteem has improved a great deal so that is worth every cent. If you are thinking of getting your brows feathered, do it! I highly recommend going to Ursula as she is the best in the business. I made the decision to have the amazing Ursula work her magic on me and I was astounded at her incredible handiwork, extensive knowledge and the overall experience. After having my overplucked scraggly eyebrows totally transformed I couldn't be happier. Worth every penny! Ursula is so lovely and gives the most fantastic, personalised service. She knows exactly what she's doing and she did such a fantastic job - I'm absolutely in love with my new brows! Very happy with my brows! Ursula was meticulous in the planning & measuring of my brows, and I am really happy with the result. Highly recommended. Ursula, is professional, beautiful and extremely talented. She has the loveliest bedside manner and it actually is a treat to have her working on you. I can't stress enough how truly gifted and professional she is. And her practise is tastefully setup ... Book a session - you will love her. I strongly recommend her. So very happy with my new eyebrows. Was never a fan of my nature brows and have to pencil them in but thanks to Ursula I don't have to anymore Thank you so much!! I got very lucky!!! Ursula is brilliant. I got very lucky!!! Ursula is brilliant. LOVE my brows, even on first day without the follow up sessions. Also decided to get the lash lift and tint done while eyebrows were getting numbed up. It was a pleasant couple of hours (surprise, surprise). Ursula makes you feel very comfortable and informed, and did an amazing job. Lipstick, ponytail, and I'm out the door looking and feeling fab with my new eyebrows, and lashes. So happy with the result and Ursula was amazing. Just spent a few hours with Ursula and my daughter, both getting a lash lift and brow tattoo. Best idea ever! So happy with the result and Ursula was amazing. Such a lovely lady. We'll definitely be return customers, thanks Ursula!! Ursula's passion & knowledge was above & beyond my expectations, the result she achieved for me was exactly what I wanted even though she had to fix what another technician had done you would never know it, I couldn't recommend more highly Feather Brow Couture. My experience from start to finish was top notch! After a terrible experience by another technician at another salon...I was left with very noticeable unsymmetrical, blotchy brows. I am so pleased I found Ursula at Feather Brow Couture for my re-correction. As a first time client my experience from start to finish was top notch!! Ursula, is very warm, friendly and approachable. Her salon is classy and elegant with gorgeous inviting decor. The treatment room is pristine and clean. My experience with Ursula was reassuring, comfortable, relaxing and pain free!! Ursula, really took the time to know exactly what I wanted to achieve. She is extremely professional, highly skilled and very talented in creating a natural brow stroke that suited my face. I am absolutely thrilled with my new brows and eyelash lift!! Ursula, has literally taken years off my face!! I would highly recommend Feather Brow Couture for any beauty services!! Thanks, Ursula I look forward to my touch up and future treatments at your salon. Ursula is such a lovely person and makes you feel at easy right away! She takes extra care and has a great deal of pride in what she does. I look forward to my follow-up, and my new brows coming alive. Sofia worked on my lips and I had a similar great experience - very professional and absolutely knows her stuff in terms of getting your symmetry right. So happy with my results I couldn't have asked for a better job. I am in love with my eye brow feathering! Ursula was absolute great from start to finish, Making me feel completely comfortable and relaxed which had a lot to do with how calming, professional and lovely she is. I couldn't be any more pleased with the results and will definitely be recommending her to anyone wanting there eyebrows done. If your wanting your eyebrows on fleek as they say.. Ursula's your girl! These two definitely have the skills. Maestros!! Had my eyebrows done and dermal filler. Very professional and both Ursula and Sofia have an eye for what works best for each client. I highly recommend them. Not every "Professional" knows what they're doing but these two definitely have the skills. Maestros!! Ursula, Firstly.... Thank you for today and being so honest and professional. The way you conducted yourself and business, were extremely thorough from the beginning. You made my decision to go ahead with you a breeze!! I am 100% confident that i can refer you on your amazing talents. I just wanted to thank you so much for your outstanding work, and want you to know how elated I am with stage one of my feathering. I wish you all the success in your up and coming business and think you should take credit for what You are capable of doing. I am extremely happy and can't stop looking at the clips u sent . Have a great day and many thanks again. I love my new eyebrows, amazing job and a beautiful salon just like the owner. Just would like to thank my beautiful, stunning and very talented Ursula Cervellone at Feather Brow Couture for my Eyelush Lift and Tint. I never thought I could bring my eyelashes to this point, it enhanced my features, I barely wear any make up and mascara. I am feeling incredible! Thank you my darling, you are simply the best!!! Amazing the best of the best . Highly recommended ursula is very professional & a perfectionist & she makes you very comfortable great experience. Wish I’d gone to her sooner! I would really recommend Feather Brow Couture! Ursula is professional, courteous and fantastic at making your brows look amazing! She did both my brows and the lash lift for my eyelashes, and I'm really happy, wish I'd gone to her sooner!!! Ursula you are AMAZING!! Thank you so much for the tremendous work you have done on my eyebrows! What a difference! Can't believe I didn't do it earlier! THANK YOU! THANK YOU! Awesome work for being able to fill my sparse eyebrows. I absolutely love them! 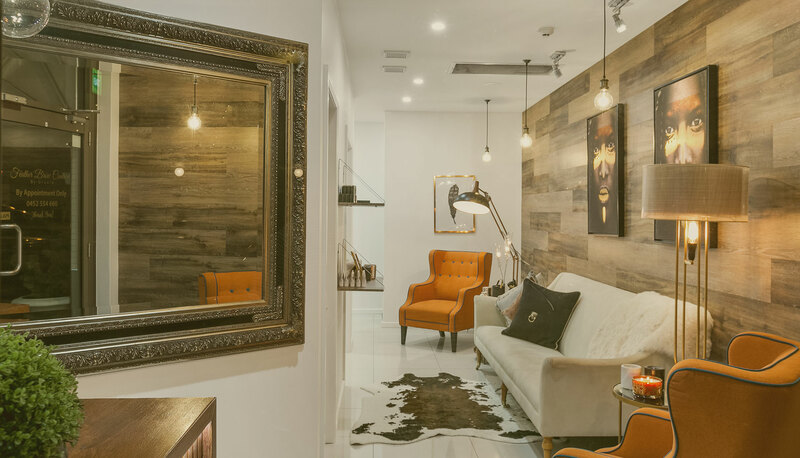 Book your exclusive consultation here.